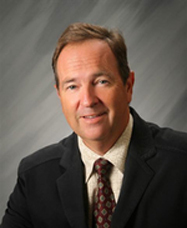 My name is Terry Sutton and I have been a residence of Sacramento, Placer and now Nevada County since 1973. After graduating from CSU-California State University in Sacramento majoring in Criminal Justice I became a deputy sheriff with Sacramento County and retired from that career in 2004. In 1996 I obtained my Real Estate license and started working part-time with Prudential Real Estate and then with Davis and Davis Real Estate, teaming up with another seasoned realtor who had more than thirty years of experience. My back ground also includes the construction and building of three homes. In 2004 I decided to became a full time realtor. Presently, I am with the working team of Amen Real Estate and share real estate duties with my wife Mary Sutton, who is also a full time realtor with Amen Real Estate. I look forward to sharing my expertise in the real estate market of sales and purchasing.